Do you ever have one of those weeks that you wish the week was over before it even begins? I hate to wish away time, but boy, is this week a busy one for our family. I think we have some kind of evening activity each day, many of which will prevent us from being able to eat at home, and I really don't like eating out. Corey has a cross country dinner, a cross country meet, and homecoming activities on varying nights. I have computer workshops, and Eric has some traveling. Corey also has his first band and math contest of the year - both on Saturday! All of these things are good things, they just make schedules a little hectic. 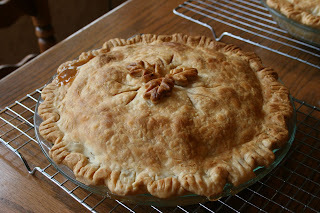 This weekend we did do our annual apple pie baking fest. Our neighbors were so excited when they realized it was "apple pie day". :) I love when something so little can make people happy. Because of the busy schedule, the menu this week will be pretty slim. I did make the best cake in the world for Corey's cross country dinner. The rest of our meals will either be eating out or relying on some freezer staples. I took a look back to last year at this same time, and it looks like we were busy then as well. :) But, there are some ideas you might get by looking back at that menu. Here is this week's menu. For more menu ideas go to orgjunkie.com. Enjoy and have a great week. Here's this week's menu. For more menu ideas, go to orgjunkie.com. Enjoy and have a great week! We have lots of evening obligations this week (cross country meets, band displays, book club, etc. ), so I tried to pick items that are quick and easy. I already made tomorrow spaghetti and have it in the fridge ready to heat up. Here's this weeks menu. For more menu ideas, go to orgjunkie.com. Enjoy and have a great week! I love three-day weekends! We have really enjoyed having that extra day off, and the weather just happened to be perfect. 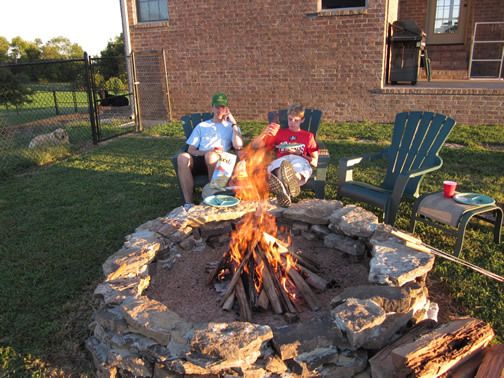 Corey had his first cross country meet Saturday morning, and that evening we actually got to use the fire pit! 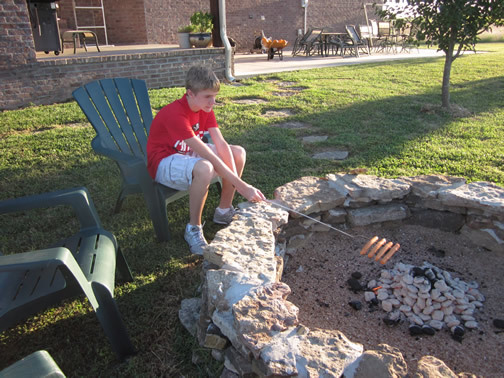 We ended up roasting hot dogs and sitting by the fire for hours. It was simply fantastic. The new meals we tried last week were all great. Our favorite of the four was the taco cornbread casserole. This week I'm going back to some simple standards since dinner times will be sporadic. I am doing some baking today, so be sure to check out the Fresh Apple Cake, Honey Bun Cake, and Hot Chocolate Chip Cookies. Here's this week's menu. For more menu ideas, go to orgjunkie.com. Enjoy and have a great week! Heat oven to 350 degrees F. Cream butter and sugars until smooth. Beat in eggs and vanilla until combined. 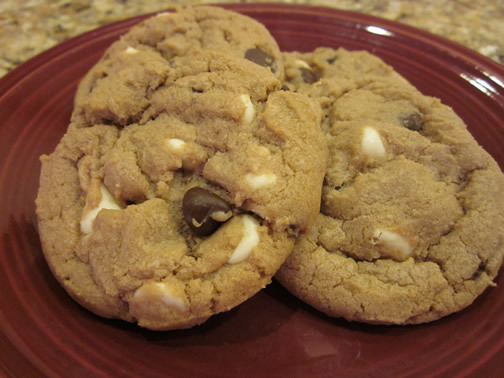 In a separate bowl, combine flour, hot chocolate mix, salt and baking soda. Add to wet ingredients in 3 to 4 parts, making sure all is incorporated. Fold in chips. Chill the dough for an hour or so. Use a cookie scoop (mine is about 2 T - the medium sized Pampered Chef one) to scoop dough onto baking sheets lined with parchment paper. Bake for 9-11 minutes or until edges are golden brown. Let cool for 5 minutes before removing from pan. Combine first 5 ingredients and beat for 2 minutes. Pour 1/2 of batter into a lightly greased and floured 9x13 pan. 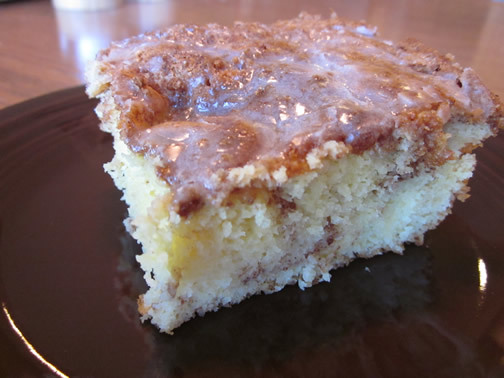 Combine brown sugar and cinnamon. Sprinkle half of sugar mixture over batter. Top with remaining batter. Sprinkle remaining sugar mixture on top. Swirl with a knife. Mix the milk and powdered sugar together for a glaze. Add glaze to the cake as soon as it is removed from the oven. 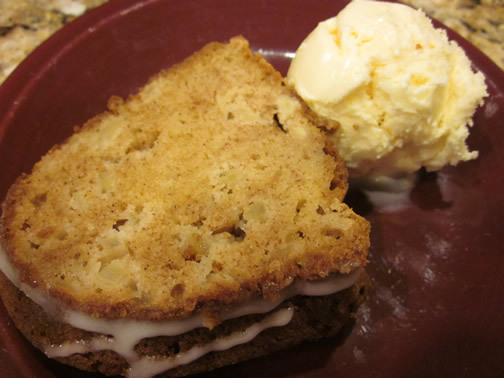 I got this recipe from my friend Kristin (who got it from Paula Dean) and thought it sounded like a good cake to make in September since apple season has started. When I baked it, it only took 1 hour to cook in my oven instead of the listed hour and a half, so be sure you check it after an hour. Glaze: Add all the ingredients to a small bowl and stir until smooth. Set the bowl aside. Cake: Preheat the oven to 325 degrees F. Lightly grease a Bundt pan or tube pan. In a bowl, mix together the apples, walnuts, vanilla, and cinnamon. In a separate bowl, sift together the flour, baking soda, and salt. Using an electric mixer beat the sugar, oil, and eggs in a large bowl. Add in the dry ingredients and beat until completely combined. Fold in the apple mixture. Scrape the batter into the prepared pan and bake for 1 hour and 30 minutes or until a tester inserted into the middle of the cake comes out clean. Allow the cake to fully cool in the pan, about 1 hour, and then turn it out onto a plate. 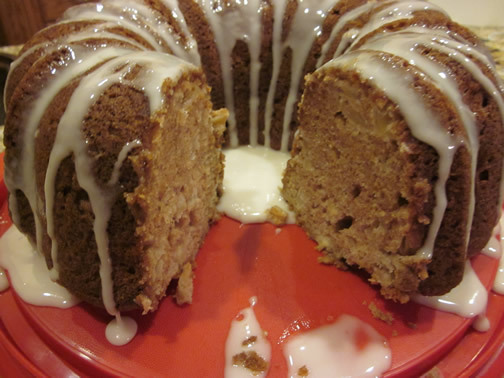 Drizzle the apple cake with some of the honey glaze, serve and enjoy! The cake can be wrapped tightly and stored in the refrigerator for 3 to 5 days.